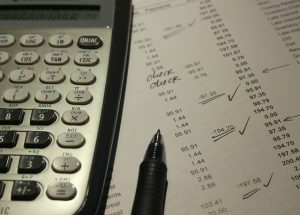 We’ve written before about essentials for freelancers on an overall basis, but today, we’re going to dig down into an all-important area: finance. As a freelancer, the ability to manage your finances is a core component of the viability of your business – but it’s fair to say that many freelancers struggle in this regard. In fact, unless your freelancing business is accountancy, most freelancers find themselves having to negotiate a steep learning curve when it comes to negotiating their business finances. Money management: The money management side of freelancing is predominantly based around fundamentals such as budgeting and ensuring your income is steady. These are the areas that all businesses – not just freelancing businesses – need to be able to take account of; areas such as fixed costs and managing your expenses. 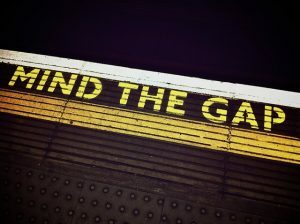 Negotiating the gap: Unlike the money management pillar, negotiating the gap is quite specific to freelancers – and it’s this pillar we’re going to focus on in this piece. What does “negotiating the gap” mean? Every freelancer has to deal with “the gap” at some point. The gap – when used in this context – is the period that begins when work is submitted or completed; this period then ends when you are paid for the work you have completed. Unfortunately, “the gap” can be an extremely worrying time for freelancers. The #payfreelancers and #freelanceisntfree hashtags on Twitter make it clear that many freelancers struggle significantly to get invoices paid, and most freelancers will have – at some point – had to accept that they will never be paid for work they have completed, and move on. As a freelancer yourself, you will almost certainly have experienced this too, and you’ll know the fear of “the gap” between invoice submission and payment being received. Negotiating the gap, therefore, is all about managing your finances during the period between invoicing and receiving payment. It is a difficult financial period to deal with because your finances are effectively in suspended animation. You should have money… but you don’t know when it will arrive or, sadly, if it will arrive at all. 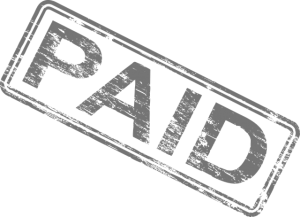 Many freelancers submit invoices assuming the best of the company they have worked for. They hope that the company will receive the invoice and then pay it on the next payment run. While this is perhaps how the process should work, it is very rarely how the process works in practice. If you expect your invoice to be paid in a certain time frame, then you need to stipulate this on the invoice. Thirty days is generally accepted as the turnaround for freelancer payments, so include this – specified exactly as a “payment due by” date – on every invoice you send. Business credit cards can be very useful to help you meet the costs of your business during a gap between invoices being sent and payment being received. You can use cards like the Ink Cash business credit card for business expenses and costs during the gap and then clear the total bill as soon as your invoice is paid. Not only does this ensure your business doesn’t have to go without during the gap, you’ll actually be financially benefiting by accruing reward points – a definite win/win! If you work for a number of different clients, it’s all too easy to lose track of which invoices are due when. To ensure that you’re always aware of the payment status of every single invoice you send, opt for dedicated software to automate the process. Using invoicing software allows you to see, at a glance, how much you are owed, which clients owe you, and how long it has been owing for, so you can always keep track of every penny that is owed to you. We’ve mentioned the importance of due dates above, but this date has a second important usage: it’s effectively a form of ensuring fair play between you and your client. Much of that has to come from your client; i.e. they have to pay the invoice in the designated time period. However, the due date also places a requirement on you: a requirement that you do not “chase” the invoice until the due date has passed. Many companies only perform a payment run once a month, so it’s important you are patient and allow the due date to pass before contacting to ask the status of your payment. If you contact a client to ask when the invoice will be paid before the due date expires, this is unlikely to be well-received by your client. When you have not been paid, it can be extremely tempting to ‘name and shame’ the company who have let you down. You’re annoyed and potentially struggling financially, and it’s easy to convince yourself that other freelancers should be warned about the company who have failed to pay you. However, while this may be momentarily satisfying, it is highly unlikely to help in the long-run. While you may receive a payment, the client won’t want to work with you again, and prospective clients will likely shy away from working with you for fear of the same treatment. So, even if you are deeply frustrated, keep the matter private, issue cease and desist letters if applicable, and potentially contact the non-payer’s chief executive or parent company – all of these are far more sensible courses of action than naming and shaming on social media. As a freelancer, learning to negotiate the “gap” between invoices being sent and invoices being paid is always going to be challenging. However, with the tips above in mind to help you, you should be able to manage your both your business and your finances to ensure that you can cope through to the moment your invoice is finally paid. Good luck in your freelance business.